Panama scored two runs in the sixth and four in the ninth to stun Japan 6-1 on Monday to reach the second round and send Team Nippon to the consolation round. It was their fourth win in five games. Strong pitching by Didier Vargas and Ariel Atencio kept Japan to three hits, an unearned run in the seventh and three walks, clinching the decisive win in Group B. Keito Takeuchi matched Vargas for most of his 5 2/3 innings, but without run support suffered the loss. 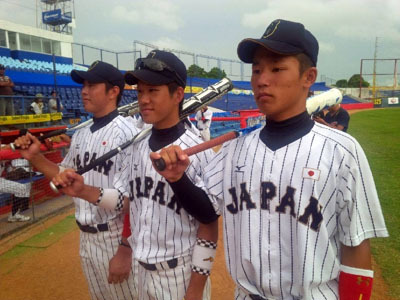 Japan closed out the first round with a 3-2 record.